Nick Gibb, the MP for Bognor Regis and Littlehampton, has confirmed that he will vote in support of Theresa May in this evening’s no confidence vote. The Prime Minister will face a vote on her leadership between 6pm and 8pm today, after the required 48 letters calling for a contest were delivered to Sir Graham Brady, chairman of backbench Tories. Theresa May will need to secure 158 votes – half the parliamentary party plus one – if she is to win the vote and continue as leader. Ahead of the vote, Nick Gibb MP has pledged his support for her and warned that changing leader at this moment would be a ‘huge mistake’. 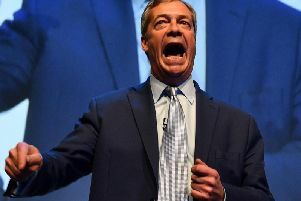 In a statement to the Bognor Regis Observer and Littlehampton Gazette, he said: “Theresa May has my absolute confidence as Prime Minister and Leader of the Conservative Party. “In the ballot this evening I will be voting in support of her continued leadership. “In my view there is nobody better to get further concessions from Brussels than the PM. This morning he also tweeted: “Theresa May has my absolute confidence as Prime Minister and Leader of the Party. The MP for East Worthing and Shoreham, Tim Loughton, also tweeted about the situation facing Mrs May but did not reveal how he would vote this evening. He said in a tweet: “First elected on the same day as Theresa May we have much in common. We have both been activists within the Conservative Party since our teens. “We both want nothing more than for the Conservative Party to succeed for our United Kingdom. He has been approached for a further comment. Results from tonight’s vote are expected at around 9pm. If Mrs May wins, she will remain Conservative leader and cannot be challenged for another 12 months. If she loses, then there would be a Conservative leadership contest in which she could not stand.